When I first tried out micellar water, I had no clue how it would work on my skin. Would the micellar water be better than the tap water I normally used to wash my face with? How much rubbing would I need to do on my skin in order to get off my makeup? The results were surprising to me. In just a few quick easy motions I am able to dissolve a day's worth of makeup on my face. The Garnier Micellar Water even takes off waterproof mascara! The Original Micellar Water All-In-One Cleanser has tiny micelles that go to work to pick up loose dirt and makeup on the skin. You don't need to do any harsh rubbing at all. Simply take out a cotton pad and squirt a tiny amount of the water onto the cotton pad. Begin gently rubbing the pad all over your forehead working your way down to your chin for an all-over cleanse. Available at Ulta, the Micellar Water retails for under $10 at $8.99. It's a cheap alternative to pricey facial cleansers. 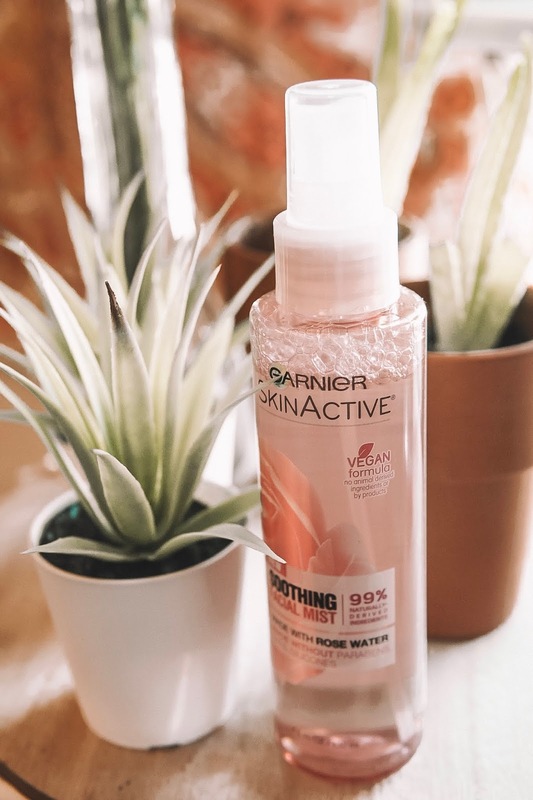 There is no need to rise your skin whatsoever once you use the Garnier SkinActive Micellar Water. Your face will be completely clean after you start using this product on a regular basis. There are a few different types of micellar water for your skin, too. You can choose the SkinActive Micellar Cleansing Water All-in-1 Cleanser & Makeup Remover for oily skin. The Waterproof Micellar Water is great if you frequently wear heavy eye makeup and thick layers of waterproof mascara. I've put both of these micellar waters to the test and I love to use either of them, morning and night! 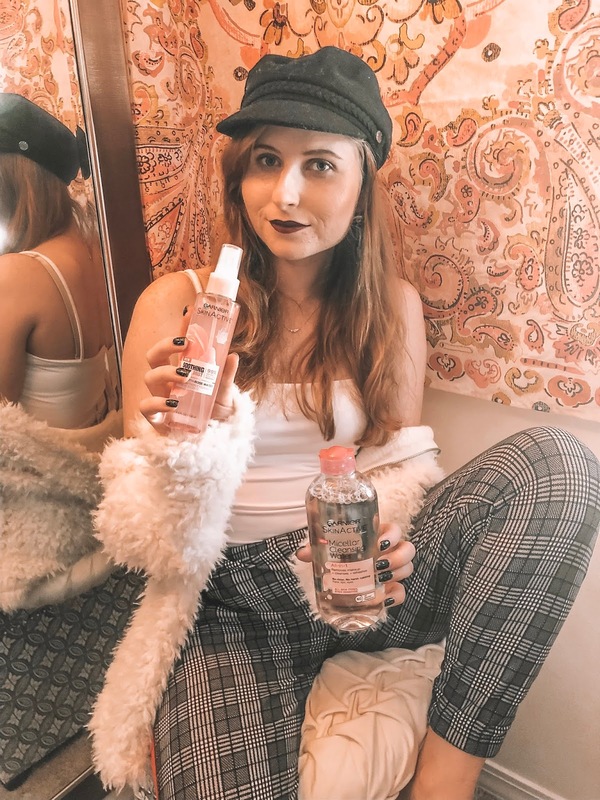 I also use the micellar water as a second round of makeup removal during my nighttime routine. Sometimes my regular facial cleanser will leave behind some foundation, so I like to go back in and use a cotton pad full of micellar water to get rid of the remainder. The gentle micellar water soaks up every last bit of foundation that it left behind on my face! It's a magical product that I keep in my bathroom cabinet. I also like to travel with a smaller bottle of micellar water in my makeup bag when I am on vacation. There is nothing worse than getting to your destination and forgetting makeup removal favorites, especially for someone like me who wears makeup 24/7! Another amazing product from the SkinActive line by Garnier is the Soothing Facial Mist. I am pleased with the performance of this facial mist. It works instantly to hydrate my face without leaving me feeling sticky. I carry it in my tote bag and find myself spraying it on my makeup every few hours for a nice refreshing punch of hydration. The mist itself has rose water and is free of parabens, dyes, and silicones! My skin is dry and oily, so I am always looking for products to hydrate my skin when the weather changes outside. The rose scent is not overwhelming, either. The rose facial mist is also affordable at just $8.99 and its available at Ulta.com or in your local Ulta storefront. *FTC: Thank you to Her Campus Media + Garnier for sponsoring this post! All opinions are my own.